When you enter into a business venture with another party, it is crucial that you draft and sign a partnership agreement. Many partners enter into business together because they are friends and they don’t think a written contract between them is necessary. However, having an agreement in place can help avoid disputes as well as help preserve your relationship. Identifying each partner’s role. Having a plan for the role to be played by each partner in the business will assist in making things run smoothly. 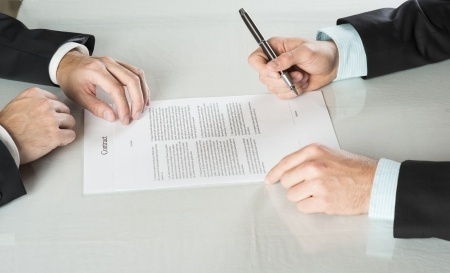 The agreement can detail how each partner will contribute to the joint venture, whether by supplying labor, services or financial contributions, so there is no confusion or misunderstandings. Ownership. The partners’ percentages of ownership should be specifically detailed in the contract. Topics to cover include how profits will be allocated, draws will be handled, and distributions will be made. Binding authority. The partners should agree how business decisions will be made. For example, you may wish to limit exposure to liability by agreeing that a partner is required to obtain the other partner’s approval before taking binding action on behalf of the partnership entity. The agreement should also outline the operational and management responsibilities of each partner, including what specific actions require a majority vote. Dispute resolution. If a disagreement should arise between the partners, it is beneficial to have a strategy in place for how to resolve the dispute. 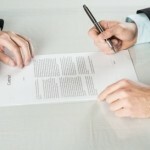 For example, the contract may require the partners to go to arbitration instead of filing a lawsuit to resolve disputes. Dissolution. If the partners decide to dissolve the partnership, it will go smoother if you the contract details the dissolution process. This entry was posted in Small Business and tagged breach, Contract, dispute, distribution, partner, partnership agreement on April 9, 2015 by Michael Faro.